Home › Blog › We are Celebrating 7 Years of Business! We are Celebrating 7 Years of Business! 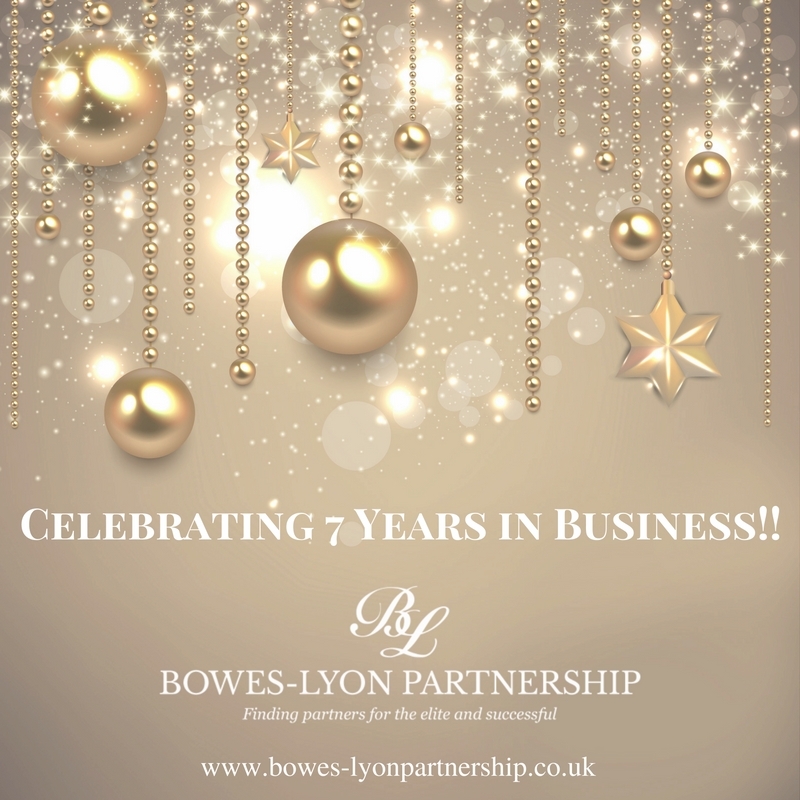 In our 7th Year of business we have had a number of successful relationships and marriages to celebrate, with the hope of many more to come in the new year with a huge amount of new members joining us over the Christmas period. The company is blossoming, with the continuing success of our Surrey office this year, and an additional two members of staff. We are continuing to flourish every day and we are delighted that our frequent development allows us to continue to help our happy members and welcome many new singles through our doors. If you would like to join us in our success and find your dream partner, give us a call today and we can arrange a relaxed chat over coffee to find out more about you and your hopes for the future! ‹ Finalists For The UK Dating Awards!